(Newser) – At least 12 greyhound racing dogs in Florida have tested positive for cocaine, and their trainer has had his license suspended, the AP reports. It's at least the second instance this year of racing greyhounds testing positive for cocaine. The dogs raced at Bestbet Orange Park near Jacksonville. 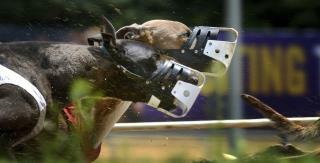 The state is home to 12 of the 19 dog tracks in the US, where 40 states have outlawed the sport. Although supporters say the dogs are treated well, the industry faces intense scrutiny. Records show Florida's greyhound industry has had 62 cocaine positives since 2008. ?????? ????? ?????. ?????? ??? ????????. It's Florida, don't act surprised. The dogs were used to smuggle coke into the country.